At the end of every school year, every child deserves a little celebration for all their hard work. Kya and Autumn finished up their 2008/2009 school year last week. 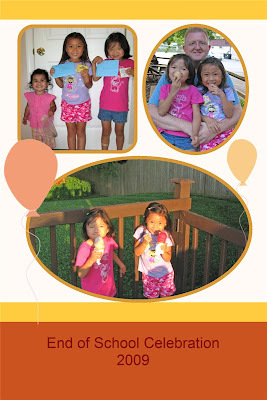 We gave them each a card with puffy sticker sheets inside, a small box of chocolates and took them out for ice cream. Now, it's on to a summer break that includes a visit from family and a trip to New York.